1996 – A small group of people decided to confront the issue of children living in state orphanages. What we lacked in field work and NGO experience, we made up for with enthusiasm and fresh ideas. Even still, we soon found that the size of the problem was much larger than we realized; we felt inadequate and powerless. Instead of giving up, we decided we would start with small gestures that could grow into something bigger. We chose an orphanage and with the help of the director, we found a small group of kids with whom we started a friendship. We started with simple things like homework, birthday parties, mountain excursions, even just regular visits; small things, but always with a focus on the children’s futures. During this time, funding began to materialize from some friends in Italy, friends who have become real believers and supporters of our adventure. Late 1997-Early 1998 – Our first real project started; part time custody of a small group over weekends. 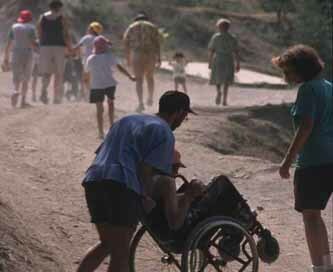 Thanks to financing from friends in Italy, we opened the first house for our young guests in 1998. We started to realize that an institutional structure was necessary to allow us to move within varying operational and bureaucratic circumstances, so we began the process of registering our foundation. Later, we were able to obtain regular custody of the children, meaning they could permanently live in the Almaty house and attend public school. 1998 – Registration is completed and the Ark’s activities officially start. Collaboration with public organizations increase and slowly our targets, clear to us since the beginning of the process, become more realized. 2000 – Children grow, and due to space necessitates and increasing requests to receive new children, we started to look for a new place to live. After a long and fruitless search in Almaty, we found an old Soviet summer camp in nearby Talgar, already abandoned for eleven years. 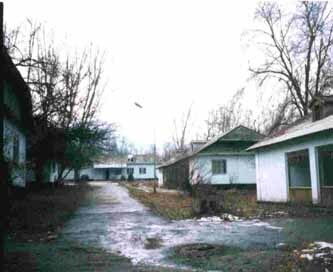 We were able to restructure, renovate, and enlarge it to become what is now The Ark Village. The structure of The Ark Village in Talgar allowed for new opportunities and services that we can offer to orphanages. We can assist families in difficult situations, welcome children for holidays or for short periods during family crises, assist private organizations as they work with local populations at risk, and of course we can provide long term custody. And so we continue, creating new pages in our history every day.